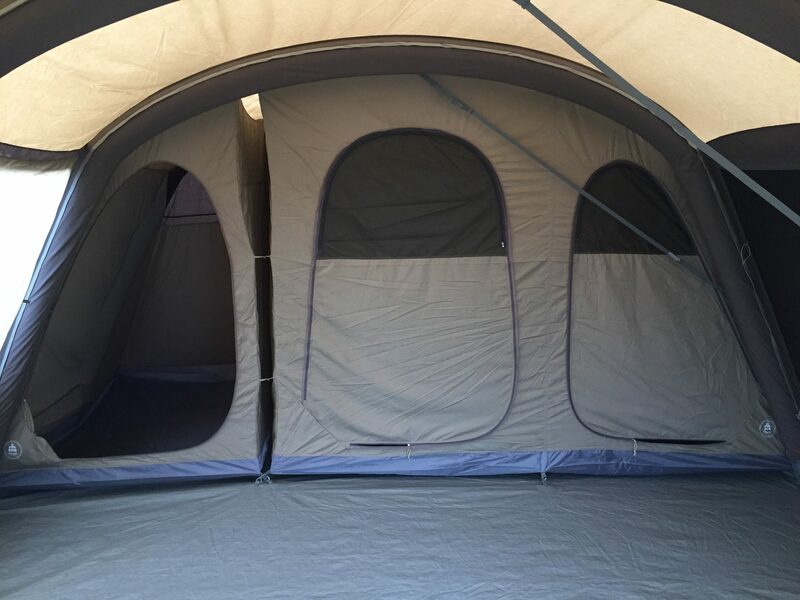 THIS IS GOING TO BE ONE OF THE MOST POPULAR FAMILY TENTS AROUND - DON'T MISS THE BOAT! 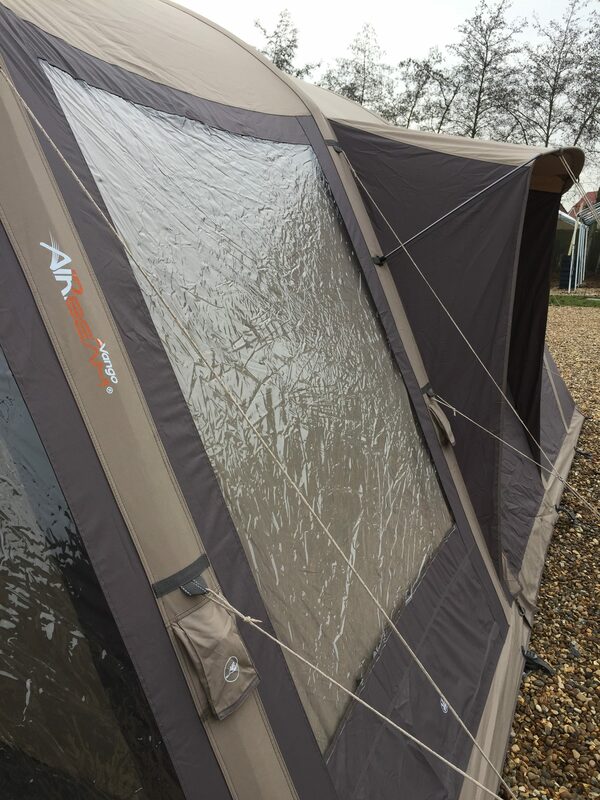 The Homestead TC 600XL is the natural evolution of the fantastic Taiga 600XL - Vango's fastest-selling tent in its first and second years and now a well established firm favourite with campers. 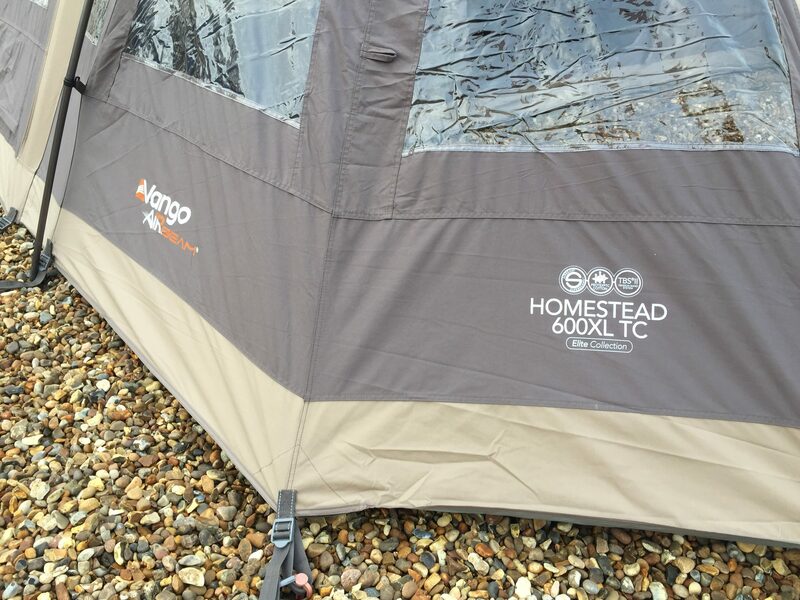 The NEW Homestead TC has a TC Polycotton flysheet and is a great-value 6-berth AirBeam® tent, packed full of features and perfect for families looking for a tent to go on longer camping breaks. 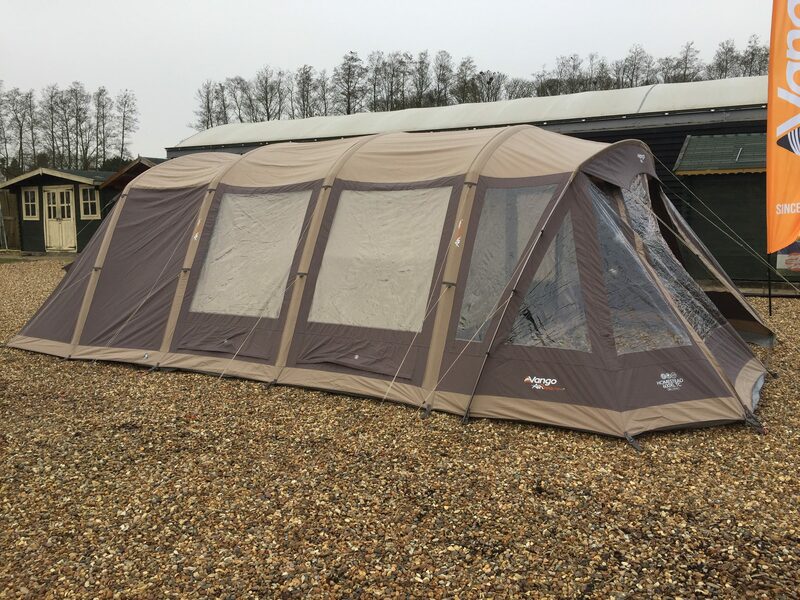 The Homestead is an extremely flexible tent with a fantastic multi-functional front awning which has two doors that can be opened separately and king-poled out to increase your living space even further. 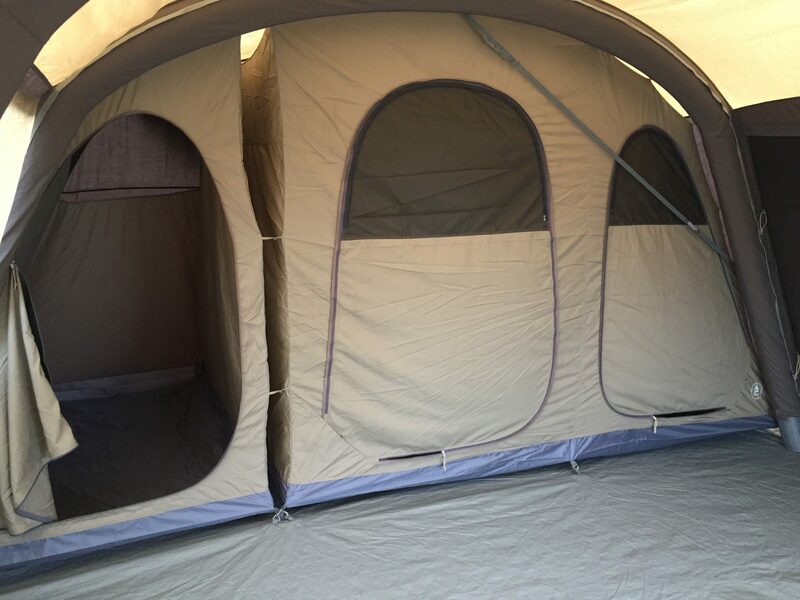 The tent also features two spacious king-sized bedrooms with lights-out inners and a huge living area to enjoy time with friends and family in the evening. 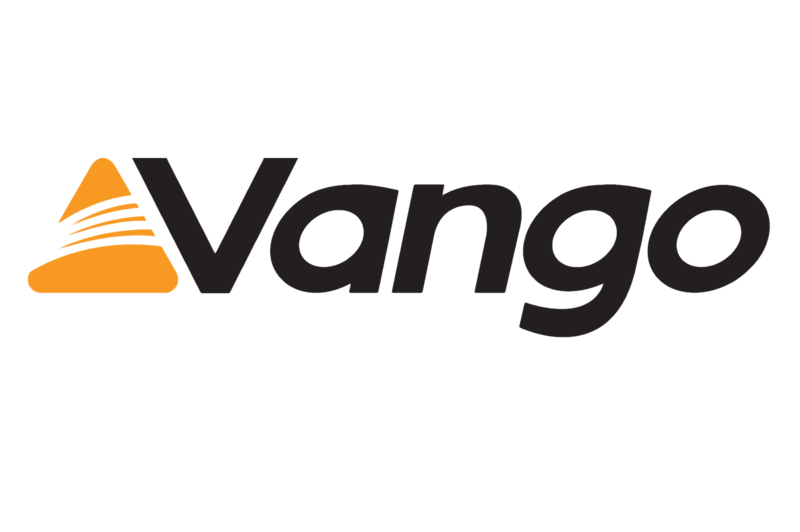 The Vango Homestead TC 600XL offers great value for money, takes only 20 minutes to pitch, gives a good 220cm headroom and sleeps 6 people comfortably at the rear of the tent. 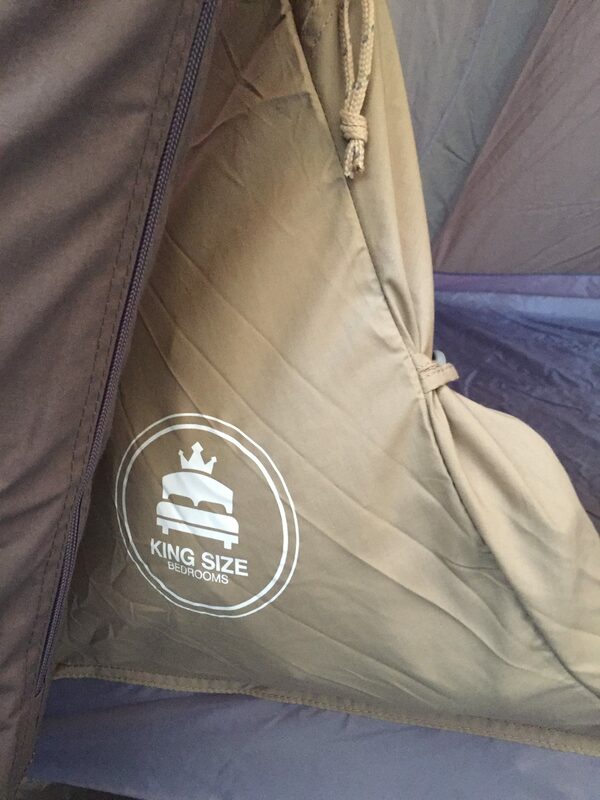 The fire-retardent Polycotton material that makes this tent such a winner is of a durable 200g weight, with a 35% Polyester/65% Cotton split to give a practical, breathable flysheet that cuts down on interior moisture due to condensation. 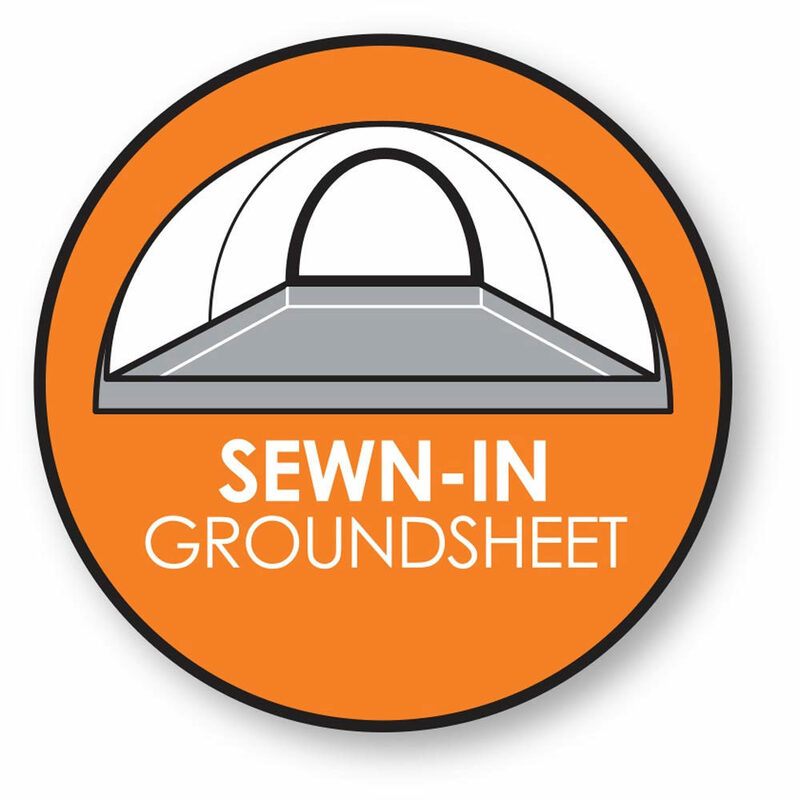 Comfort and bug-control is helped by having a sewn-in groundsheet. 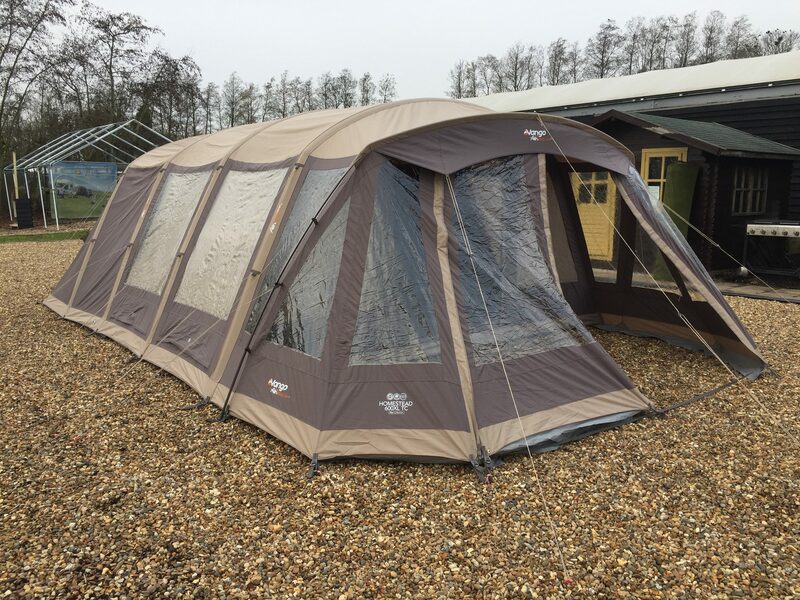 It has a spacious living area for good living space and room for your camping furniture, plus a side entrance which allows you to enter and exit your tent without having to use the main front door. 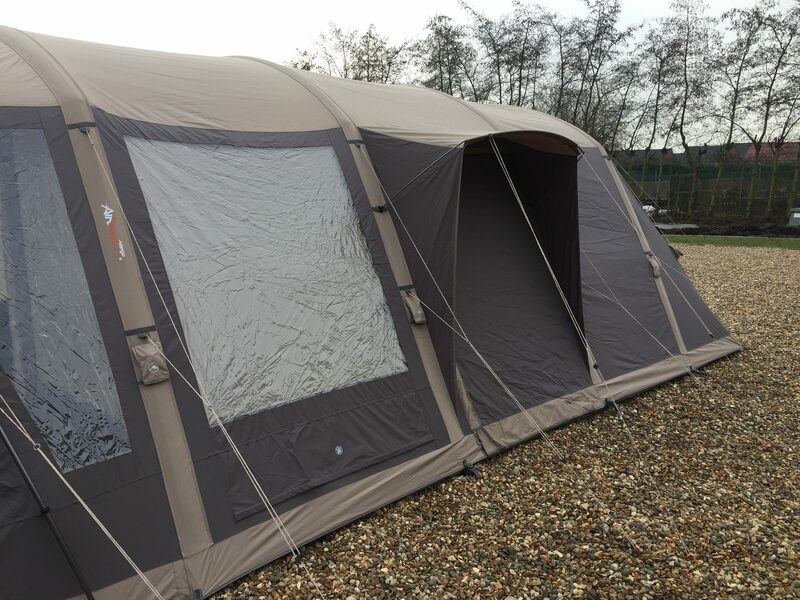 Airbeam technology means that this tent is very quick and easy to pitch when you get on site, having only 4 beams to inflate. 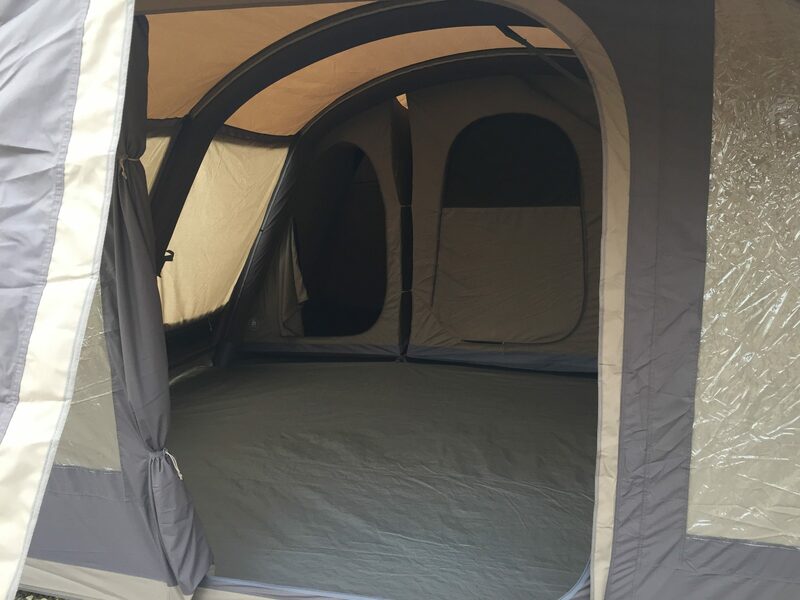 One of the best features of this tent is the front porch which can be closed-off with the front door, meaning that you can keep all your belongings - bikes, cookers, furniture etc - dry and under shelter. The front door has the ability to divide into two, so you can have just half of it open. The front porch is supported by one fibreglass pole. 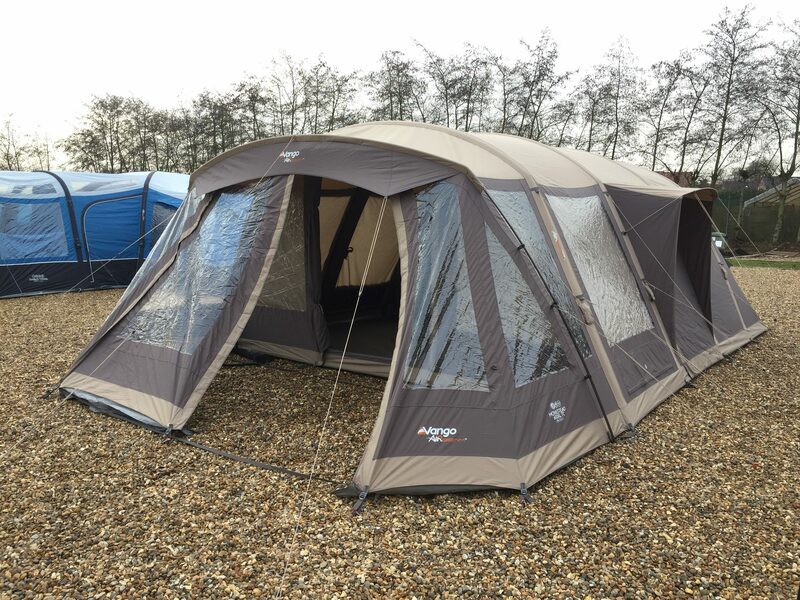 A GREAT NEW, LIMITED EDITION FAMILY TENT THAT’S BOUND TO BECOME A NEW FAVOURITE THIS SEASON. BUNDLED WITH CARPET AND FOOTPRINT, IT’S AN EVEN BETTER DEAL! 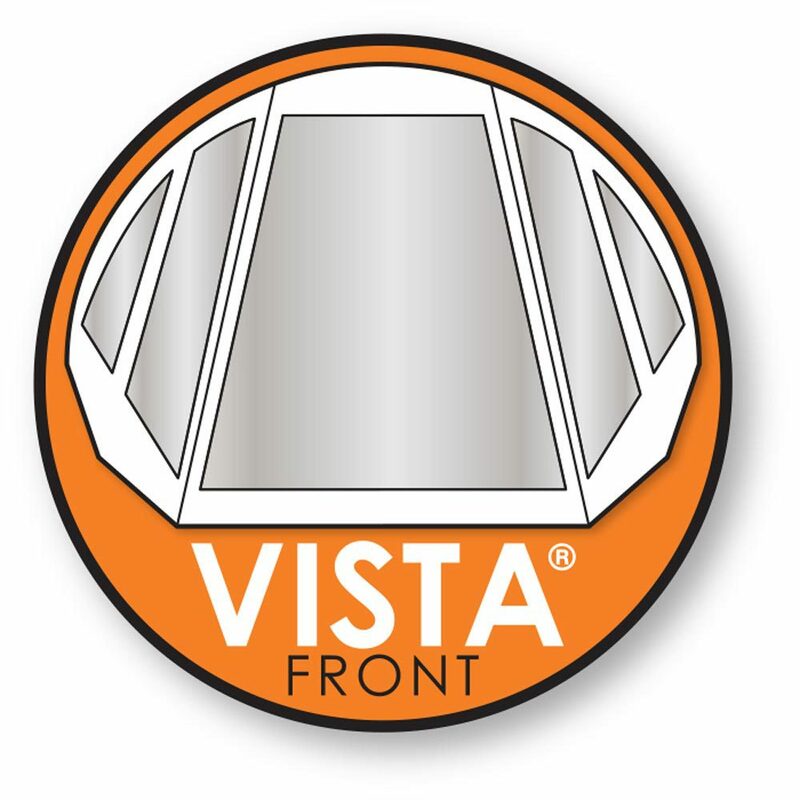 The more traditional way to create strong, light and reliable structures. 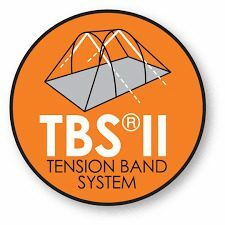 Create more internal space than with standard curved beams and provides effective bracing against winds. 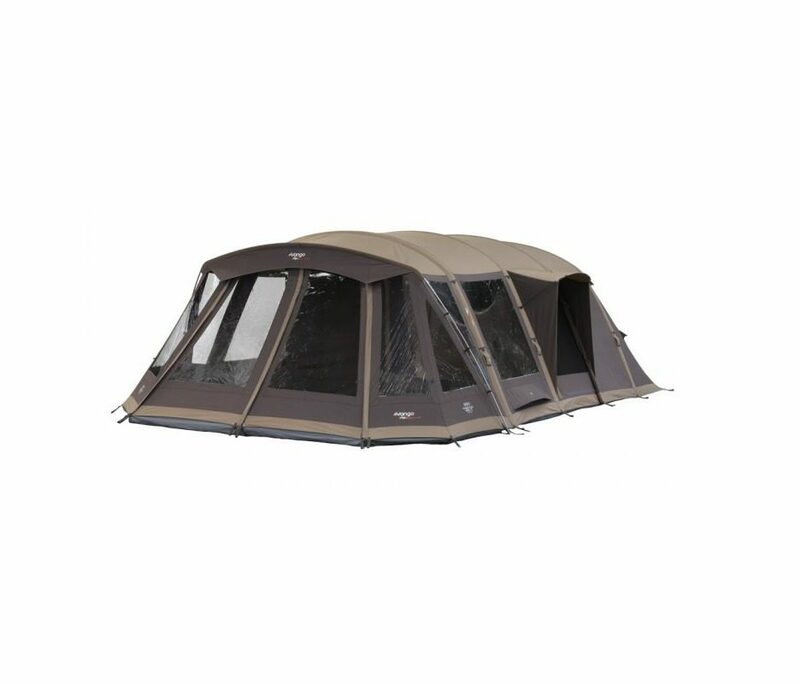 Gives a sheltered entrance to your tent, preventing rain from dripping into the living area. 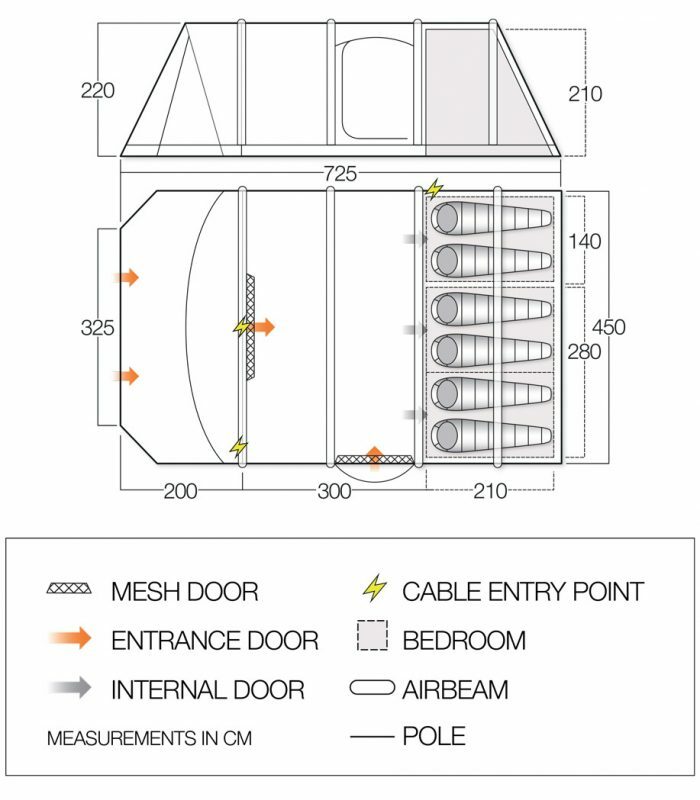 Window curtains to provide privacy when required. These can be rolled away when not in use. 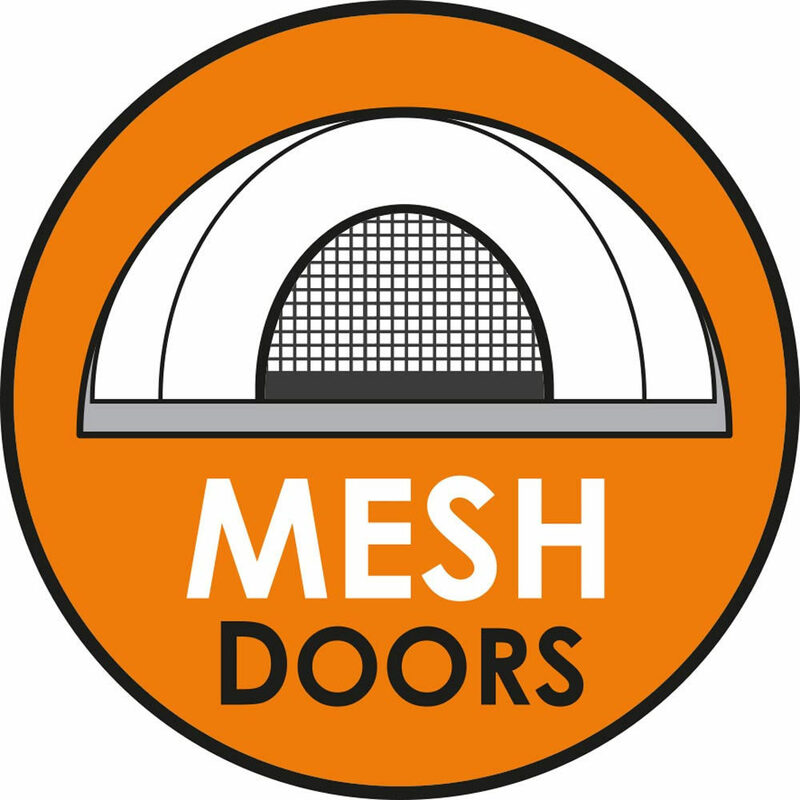 Zipped, secondary mesh doors inside all flysheet doors allow ventilation whilst keeping insects outside. 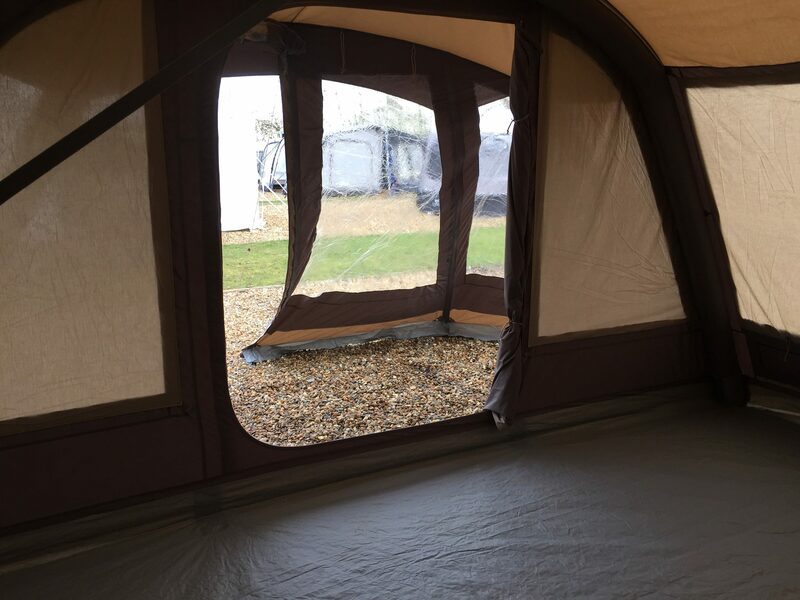 Low and high ventilation vents - now 50% larger in size - combine to create a comfortable flow of air through the tent and reduce condensation. 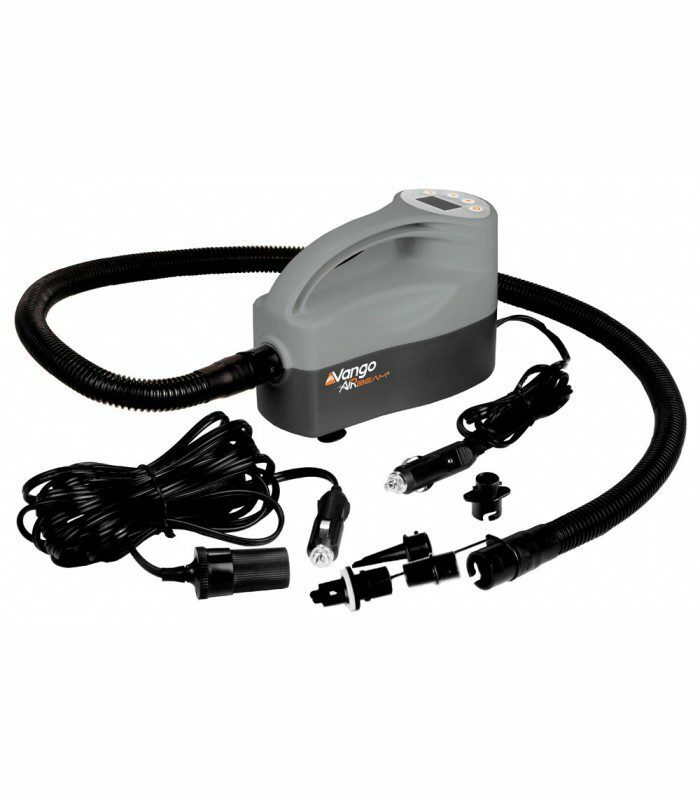 Adds to the comfort of your tent by providing a bug and draught-free environment. 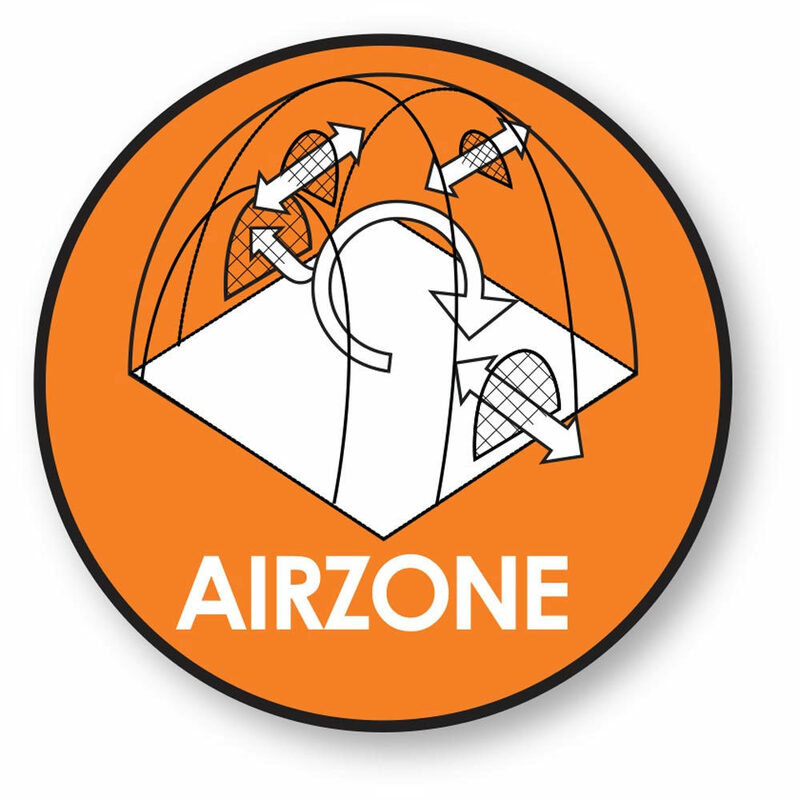 Attaches to the flysheet with an external storm skirt to provide all-round protection. 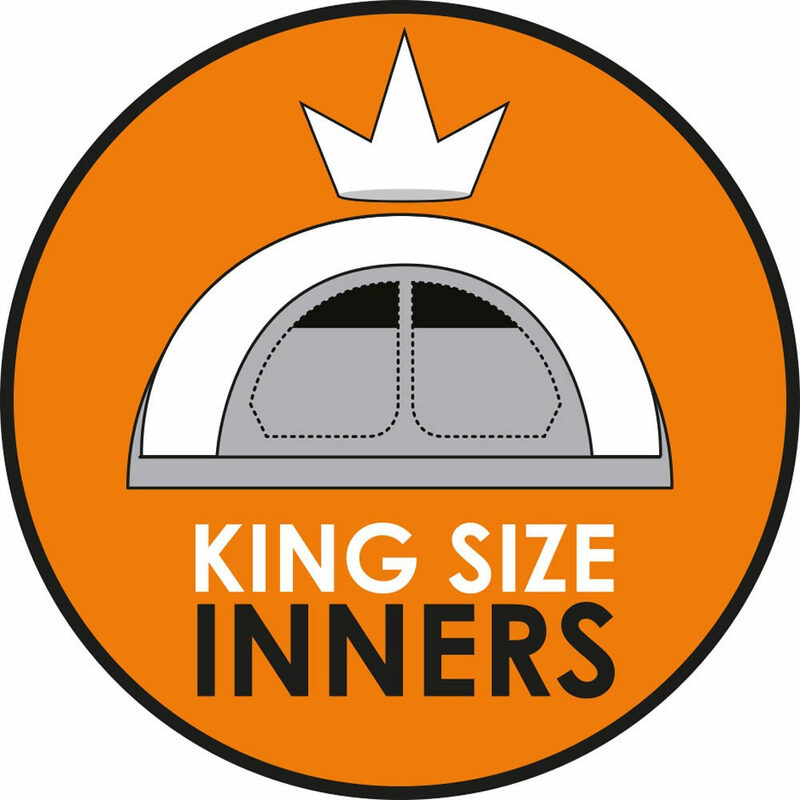 Robust and hard-wearing groundsheet fabric to stand up to the rigours of the most active campers. 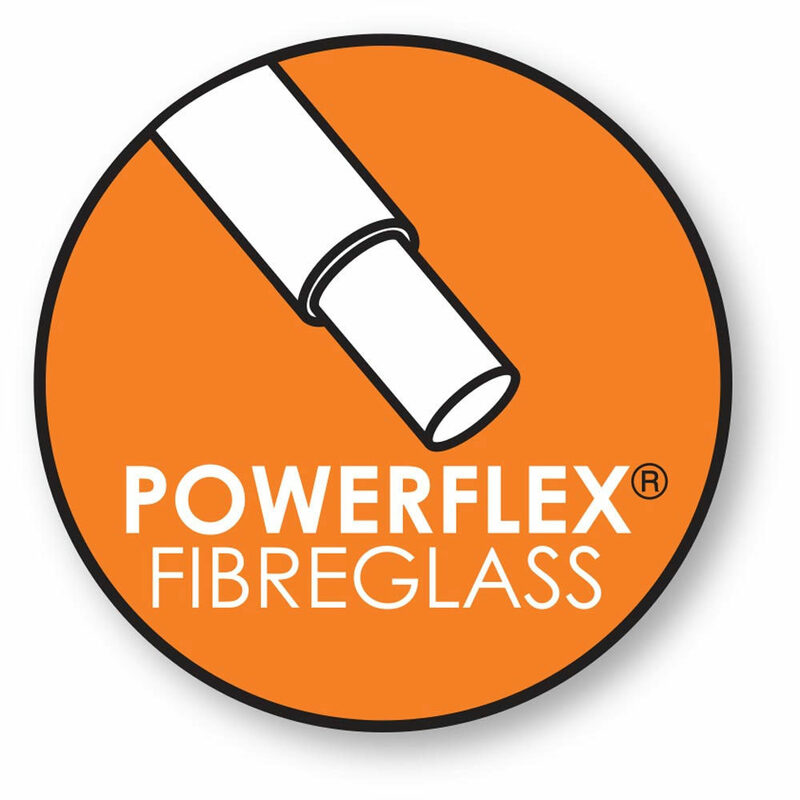 Provides a lighter inner base which packs smaller, yet keeps your bedroom dry and comfortable. Bedrooms big enough to fit a double-sized airbed or double sleep-mat. 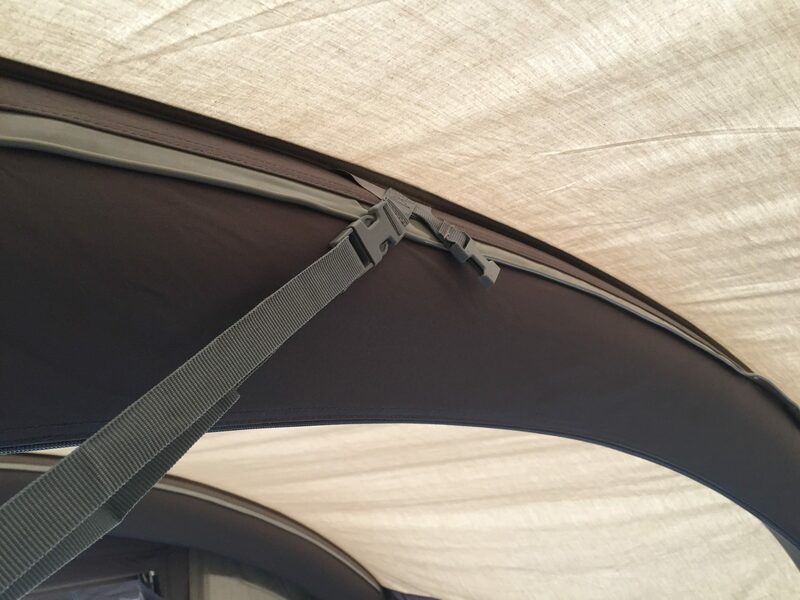 Ensures tent performs well in adverse conditions, especially in strong, changeable winds, by bracing the AirBeam at 3 points and preventing sideways movement. 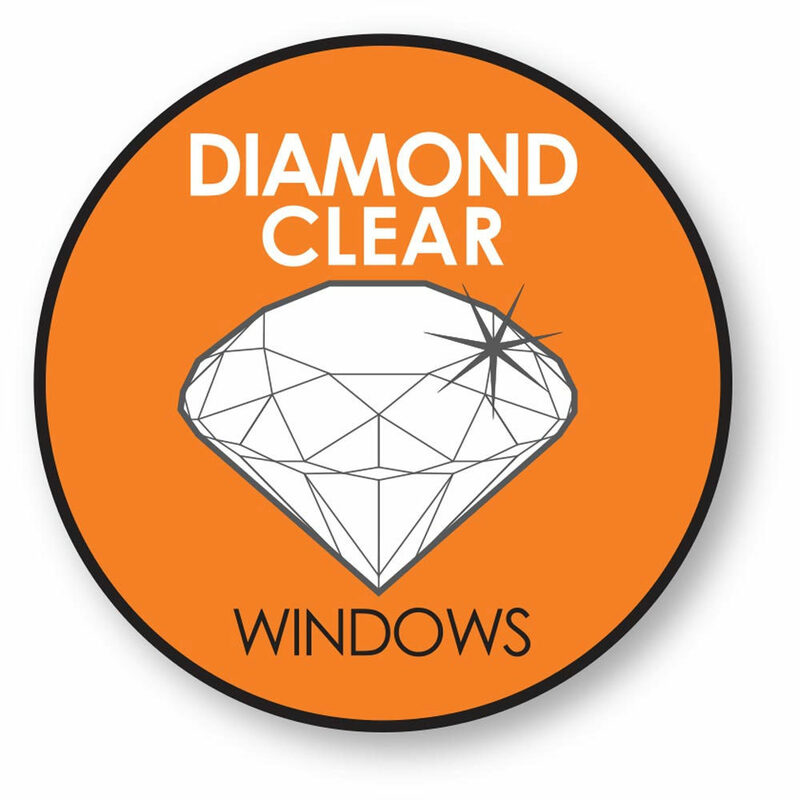 Large Diamond Clear windows maximise light and visibility. Darker fabric is used on bedroom compartment inners to reduce the amount of early-morning light if you want a lie-in. Lets you divide-up larger bedroom compartments to give you flexible options for sleeping. 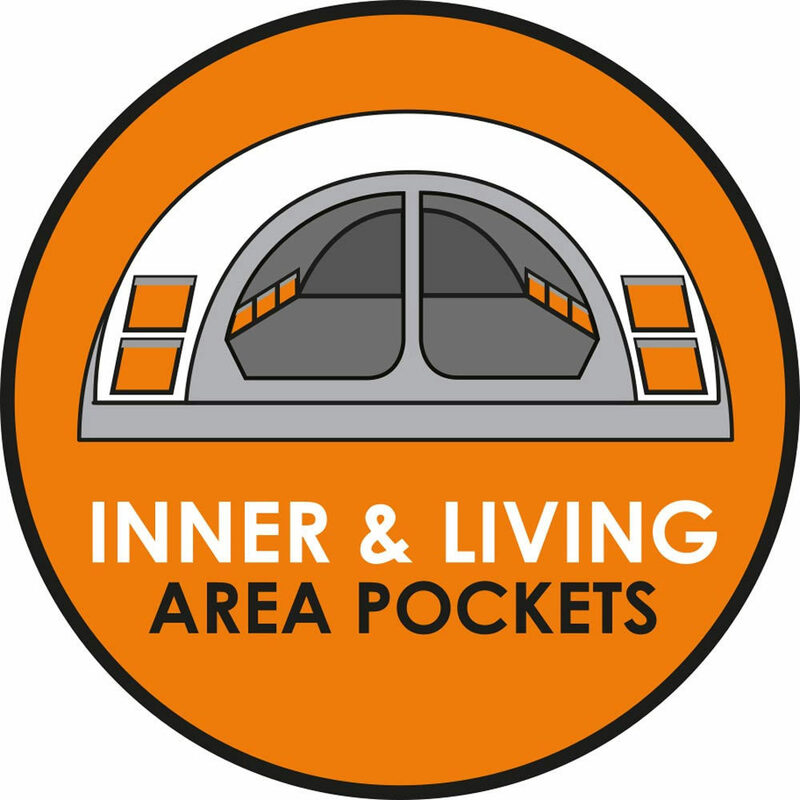 Conveniently positioned bedroom-inner pockets for storing your essentials. 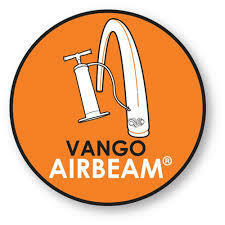 A flexible hanging system which allows you to easily attach lighting, storage or Vango's new SkyLiners. 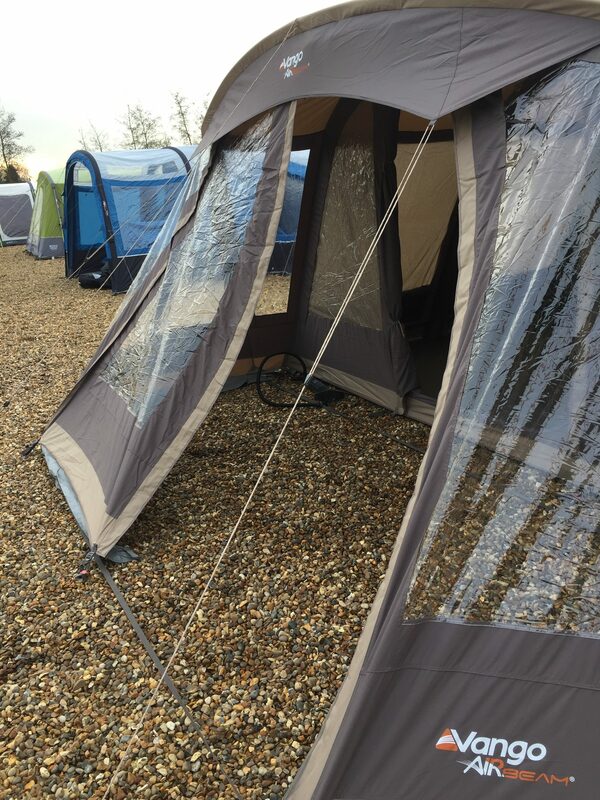 The SkyTrack system truly allows you to design your tent to suit your needs. 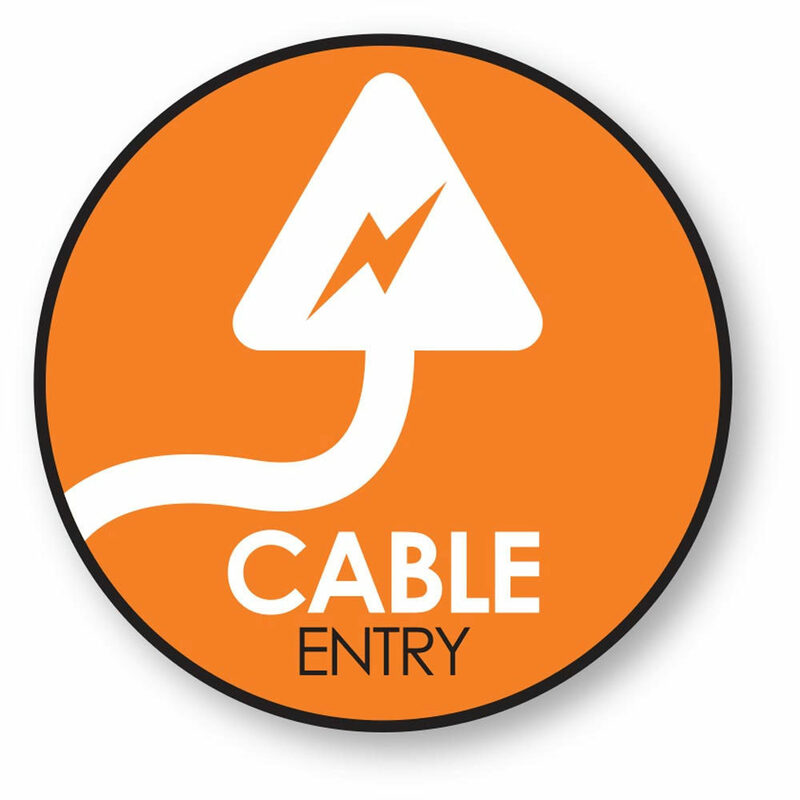 A high cable-entry point on the internal wall allows increased flexibility when feeding power cables into the tent or awning. 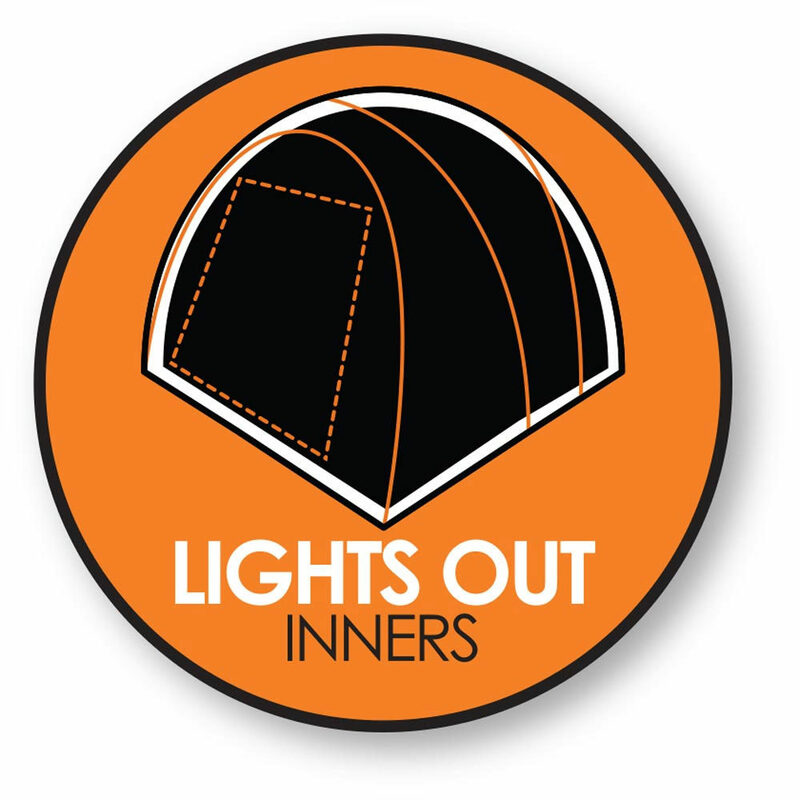 Make them easier to see, and less likely to trip over, when walking around in low light conditions.